A riveting feat of research and reportage, The Angel explores one of the twentieth century's most compelling spy stories: the sensational life and suspicious death of Ashraf Marwan, a top-level Egyptian official who secretly worked for Israel's Mossad. As the son-in-law of Egyptian president Gamal Abdel Nasser and a close adviser to his successor, Anwar Sadat, Ashraf Marwan had access to the deepest secrets of his country's government. But Marwan had a secret of his own: He was a spy for the Mossad, Israel's renowned intelligence service. 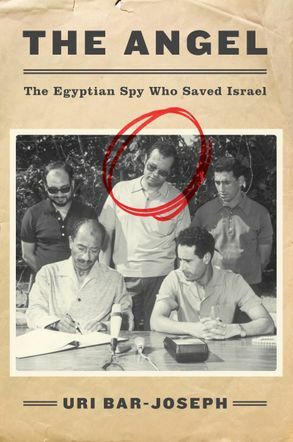 Known to his handlers as “the Angel,” Marwan turned Egypt into an open book and saved Israel from a devastating defeat by tipping off the Mossad in advance of the joint Egyptian-Syrian attack on Yom Kippur in 1973. Remarkably, Marwan eluded Egypt's ruthless secret police for decades. In later years he enjoyed a luxurious life-but that would come to an abrupt end in 2007, when his body was found in a bed of roses in the garden below his apartment building in London. Police suspected he had been thrown from his balcony on the fifth floor, but the case has remained unsolved. Until now.